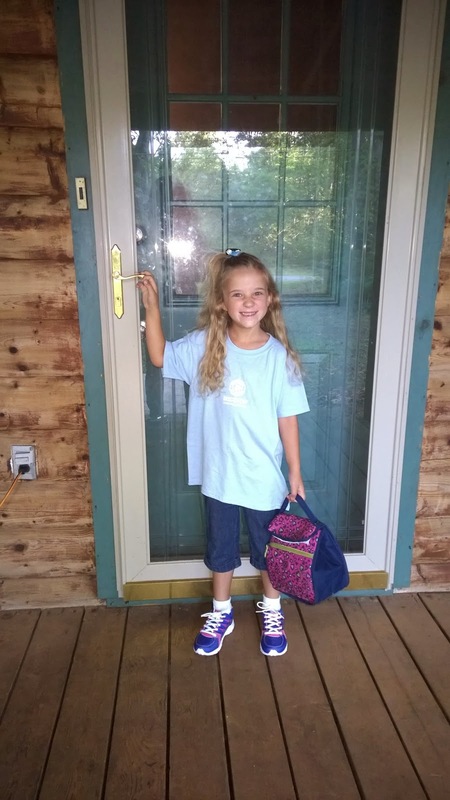 Growing to Four: Back to School! Wow! This summer went by way too fast. We did so many fun things and took a nice vacation, but it still doesn't seem like we really did everything we wanted to before it was time for school again. 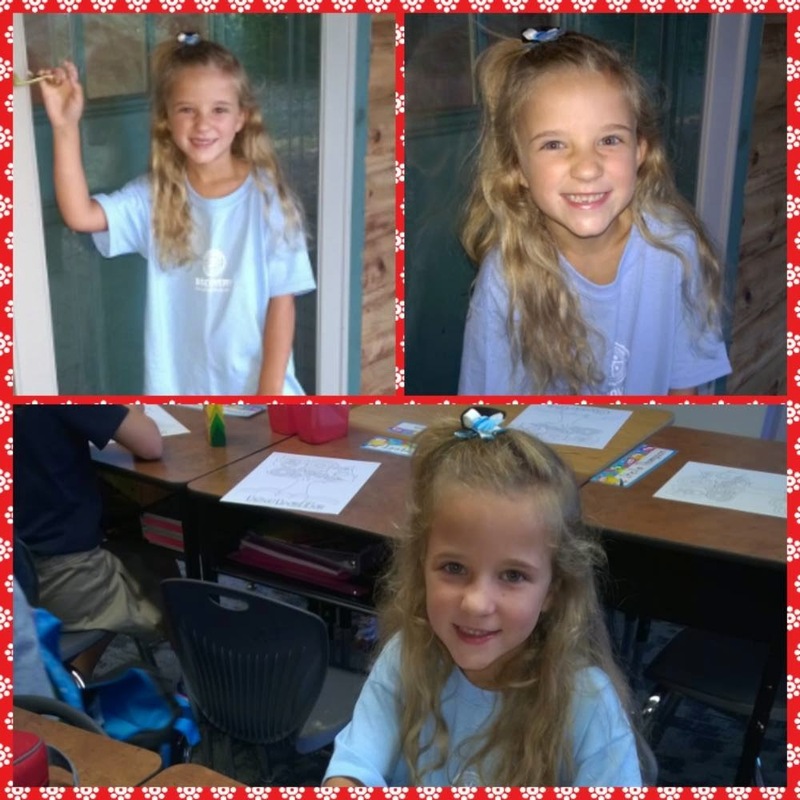 Marley started 1st grade this year. I don't think she was quite as excited this year as she was last year, but so far she seems to be doing well and making lots of new friends. On the drive to school on the first day she says "I can't wait for it to be over" I ask "what can't you wait for to be over" She replies "School" Guess she wasn't thrilled with going back to school after all.